In 1699, 2,700 +/- acres of land, including the land now known as “Point Farm,” was granted by King William III to the son of a colonial governor of South Carolina. Point Farm is located on Wadmalaw Island on a peninsula surrounded by Ledenwah Creek and the North Edisto River as it flows into the Atlantic Ocean. In April 2017, ATC acquired 2,026 acres of Point Farm from the ancestors of the colonial governor who had passed its ownership from one generation to the next since its kings grant in 1699. Point Farm has one half mile of deep water frontage, more than three miles of marsh frontage with view of Ledenwah Creek and the North Edisto River, it has views of the Atlantic Ocean, and it is 20 miles from historic downtown Charleston, SC. The property has historically been managed for agricultural product of pine trees and vegetables. ATC learned about the potential availability of Point Farm in early 2014 through a relationship with a local financial adviser who suggested that the family should consult with ATC before making any decisions about the property’s future. Family land sales always have some emotional component and Point Farm was no different. The property sale process was long, nuanced, and at times tenuous. The property has clear real estate development potential yet had not been managed towards maximizing that potential. There were several “low hanging fruit” opportunities to improve the property’s development potential. 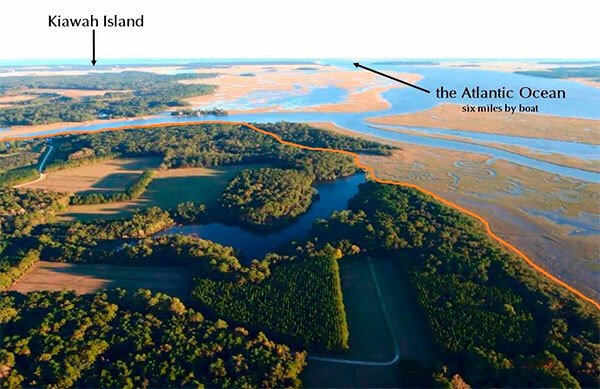 The property has unique natural resources including more than 1,000 acres of saltmarsh which are valuable to conservationists. The property has multiple freshwater wetlands which were once tidal saltmarsh wetlands that could be converted back to tidal saltmarsh to generate tidal mitigation credits which can be sold. The opportunity to restore tidal wetlands is rare and thus tidal wetland restoration credits command a high price especially in a market such as Charleston where credit demand is high. 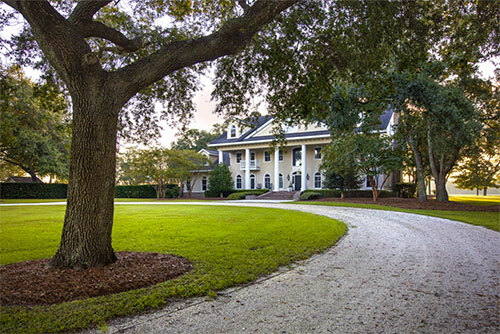 The property could provide a variety of recreational opportunities within close proximity to Charleston, SC and the existing residence was well designed for use as a “lodge” or “club house” for a high-quality recreational club. The strategy for Point Farm is to simultaneously pursue all value-adding opportunities to determine the opportunity or group of opportunities that will maximize the property’s value. Conveniently, all of the aforementioned opportunities can be pursued to some extent independently of one another. After determining the opportunity or group of opportunities that will maximize the property’s value, the property will be monetized through land, and potentially mitigation credit, sales in whole or in part. ATC has just begun to execute its strategy for Point Farm.